Cam is finding the New Year just as hectic as the old one. Her sometimes rocky relationship with Chef Jake Ericsson is in a deep freeze, she’s struggling to provide the promised amount of food to the subscribers in her first winter CSA, and her new greenhouse might just collapse from the weight of the snow. Supplying fresh ingredients for a dinner at the local assisted living facility seems like the least of her worries—until one of the elderly residents dies after eating some of her produce. Cantankerous Bev Montgomery had a lot of enemies, from an unscrupulous real estate developer who coveted her land to an aggrieved care provider fed up with her verbal abuse. But while the motives in this case may be plentiful, the trail of poisoned produce leads straight back to Cam. Not even her budding romance with police detective Pete Pappas will keep him from investigating her. This is the first Local Food Mystery that I have read, but it won't be my last. I really enjoyed this book. I liked reading about Cam's organic farming and her antics with her "rescue" chickens. When an elderly lady dies after eating greens that Cam has provided for the local retirement home, Cam is a person-of-interest, so she has to try to figure out who the real killer is. Cam gets herself into some scary situations, and it doesn't help that it is the middle of winter and very cold. This book will keep you guessing till the end and there are a lot of twists and turns. EDITH MAXWELL is a former farmer of a certified organic farm, holds a Ph.D. in Linguistics, and is a member of Sisters in Crime and Mystery Writers of America. Her short stories have appeared in the anthologies Stone Cold, Fish Nets, Burning Bridges, Thin Ice, Riptide, and The Larcom Review. She lives with her beau and three cats in Massachusetts, where she’s currently working on her next Local Foods mystery when she isn’t out gardening. Readers can visit her website at edithmaxwell.com. Thanks so much for having me here as a guest today! I want to talk about writing a series that marches through the seasons. But how do I describe a blizzard when I’m writing in a hot July? Or the summer growing season when the leaves are falling outside? In my Local Foods Mysteries, the seasons are particularly important because Cam Flaherty is a farmer. Weather and temperature are everything to someone who spends all her time outside growing food. So what do I do when the season of my writing session doesn’t align with the season in the book? One thing I do is try to plan ahead. A couple of weeks ago, for example, I took a few pictures of the woods and undergrowth on my walking path. The fifth Local Foods mystery, tentatively titled Cart Before the Corpse, is set around Memorial Day, but the book will be due May 1 next year, so I’ll be writing it well before the end of May. Book Four in the series, Murder Most Fowl, takes place in March, a very iffy and changeable month in New England. It snows, but I was writing it before the first snow fell last fall, and had to remember past late snows that usually melt quickly. Early plants also sprout in the woods mid-March, though, so I asked a naturalist friend of my son’s what might be likely to be up. 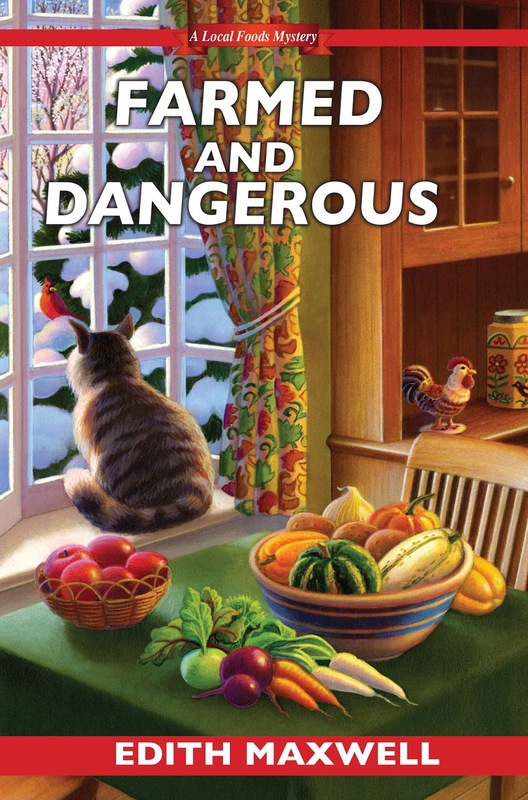 I wrote Farmed and Dangerous in the fall, but I was revising it during the snowy winter. Before the manuscript was due to my editor I was able to visit a local farm and take pictures of greenhouses nearly buried in snow but filled with rows of greens growing inside. Another resource is my farming notebooks. Twenty years ago I had a small certified organic farm a lot like Cam’s (although I had a couple of young sons running around, too), and I kept records of when I planted what, when I harvested what, and the daily weather. I check those notebooks from time to time for details. My memories of being a farmer are still pretty vivid, as well. They range from being stung by a nest of ground wasps under a blueberry bush to watching a woodchuck with mange devour my baby broccoli plants to hearing customers gush over the flavor and colors of tomatoes I grew. I remember how cold my fingers were while I pruned apple trees in February, and how my knees ached after planted a thousand cloves of garlic. I can also ask one of several local farmers I know about out-of-season crops and issues, and I can check farm web sites for pictures. Thank you, Mr. Google! Readers: Do you shop from local farms or farmers’ markets? Agatha-nominated and Amazon-bestselling author Edith Maxwell writes four murder mystery series, most with recipes, as well as award-winning short stories. Farmed and Dangerous is the latest in Maxwell's Local Foods Mysteries series (Kensington Publishing). The latest book in the Lauren Rousseau mysteries, under the pseudonym Tace Baker (Barking Rain Press), is Bluffing is Murder. Maxwell’s Country Store Mysteries, written as Maddie Day (also from Kensington), will debut with Flipped for Murder in November, 2015. 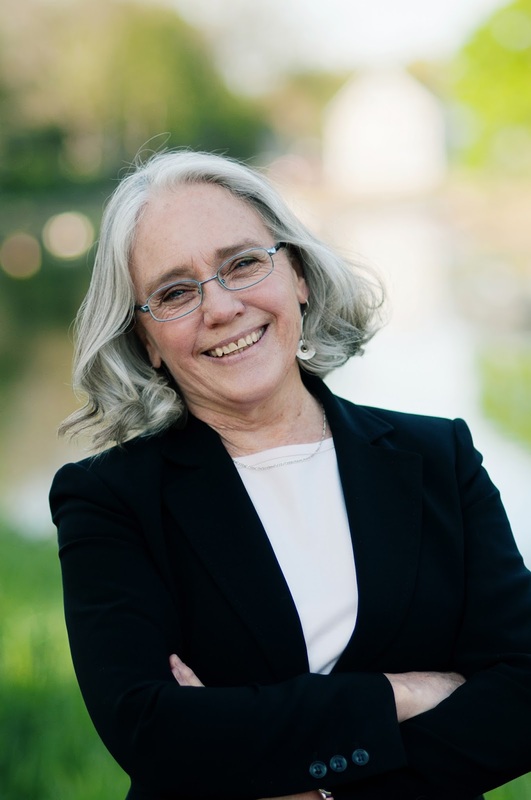 Her Quaker Midwife Mysteries series features Quaker midwife Rose Carroll solving mysteries in 1888 Amesbury, with John Greenleaf Whittier’s help, and will debut in April, 2016 with Delivering the Truth. A fourth-generation Californian, Maxwell lives in an antique house north of Boston with her beau and three cats. She blogs every weekday with the other Wicked Cozy Authors (wickedcozyauthors.com), and you can find her at www.edithmaxwell.com, @edithmaxwell, on Pinterest and Instagram, and at www.facebook.com/EdithMaxwellAuthor. It must be confusing to write a book set in another season. Thank you fro the review. I am looking forward to reading the book. I have heard good things about this Book and I would love to read it. I love the cover with the cat looking at the cardinal through the window. Great cover. Sounds like a really good book.